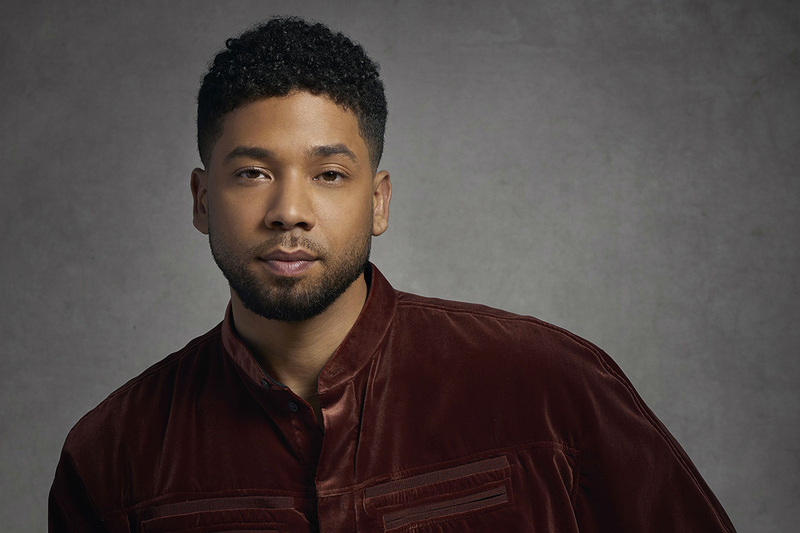 Producers for Empire announced early Friday (Feb. 22) that Jussie Smollett’s character Jamal Lyon would not appear in the final two episodes of the show after his cast mates made it clear that they want nothing to do with him after his arrest for lying to police about being attacked by racist, homophobic Trump supporters. And now, reports suggest producers for the hit Fox series are considering bringing in a new actor to replace Smollett instead of simply writing his character out of the show. Fox said in a statement earlier today about Smollett’s Season 5 ousting: “The events of the past few weeks have been incredibly emotional for all of us. Jussie has been an important member of our EMPIRE family for the past five years and we care about him deeply. While these allegations are very disturbing, we are placing our trust in the legal system as the process plays out. Fox added that Lee Daniels and his team of executive producers—including Danny Strong, Brett Mahoney, Brian Grazer, Sanaa Hamri, Francie Calfo, and Dennis Hammer—all agreed that it would be best to remove Jussie from the Season 5 finale. 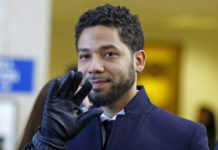 Smollett, who has played Jamal Lyon on the Fox drama since its debut four years ago in January 2015, was turned himself in to Chicago police Thursday after he was hit with a felony criminal charge of disorderly conduct for filing a false police report in connection to last month’s alleged hate crime attack. 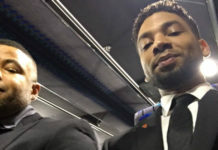 Chicago police said in a press conference Thursday that Smollett paid two men, Nigerian brothers Abel and Ola Osundairo, to stage the attack because he was unhappy with his Empire salary. After leaving Cook County jail Thursday on $100k bond, Smollett went straight to the Empire set and apologized to everyone, but maintained his innocence. TMZ reported that Smollett changed his number “because certain pissed off cast members were blowing up his phone,” and he only gave his new number out to the people who still support him. Not long after his arrest Thursday, the actor’s legal team released a statement saying: “Today we witnessed an organized law enforcement spectacle that has no place in the American legal system. The presumption of innocence, a bedrock in the search for justice, was trampled upon at the expense of Mr. Smollett and notably, on the eve of a Mayoral election.